“I can’t do homework without 8tracks anymore,” said Boston University junior Colette Johnson. With the unlimited amount of sources for people to listen to music, one website is quickly gaining loyal followers: 8tracks. This Internet radio is different from most music sources because it is so interactive. 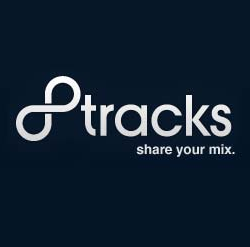 As 8tracks states, “8tracks is Internet radio created by people, not algorithms.” The users are the ones who make the mixes, give it a title and cover art and then categorize it with key words. The key words can describe the genre of the music in the mix, the activity listeners may be doing while playing the mix, or general moods that the creator thinks the mix may cause. Also, on the homepage it shows users the playlists and the key words that are trending at the time. Another benefit of 8tracks is that it seems to be a great resource for discovering new music. According to BU senior Siranush Sarafian, “I love using 8tracks because when I pick a random playlist from my favorite genre, I always end up learning about new bands that I had never heard of before! The people who make these playlists have great taste in music.” This is the core of what makes 8tracks so unique. It makes it easy and accessible for users to expose themselves and learn more about a specific type of music that may not be well known or advertised in bigger music sources such as Spotify. Also, the website allows people to comment, like, or share the playlists that they find. 8tracks is definitely a big step towards consumers discovering music in their specific interests on their own. This gives the power to users as they begin to slowly disregard what music sources or advertising are telling them what music they should like. As users become more proactive in discovering new music themselves, it seems that other radio sources will have to shift their tactics in order to still be able to influence audiences. day. It’s always useful to read through content from other writers and practice something from their sites.